After a rain delay of six hours and 22 minutes stalled the momentum of the 56th Daytona 500, a pit road accident and late-race spin derailed Kurt Busch’s run in the season-opening NASCAR Sprint Cup Series race at Daytona (Fla.) International Speedway. He finished 21st. Busch got off to a fast start in his No. 41 Haas Automation Chevrolet SS in the early going, passing Denny Hamlin for the lead on lap 11. Busch remained in the front for the next 15 laps, until Hamlin regained the lead on a lap-26 restart following the first caution. The No. 41 Chevrolet remained near the front of the field until the second caution slowed the race on lap 32. Moments later, rain began to fall and the red flag was displayed, halting the race due to inclement weather. 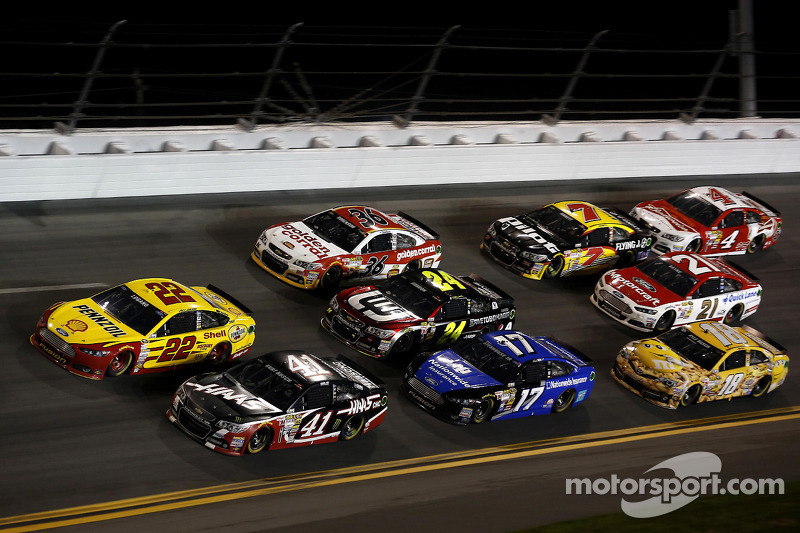 After the long weather delay, the race resumed shortly after 8:30 p.m. EST with Busch running in the 11th position. His night took a turn for the worse as Trevor Bayne’s No. 21 car collided with the right rear quarter panel of the No. 41 Chevy while both cars where coming onto pit road. Damage to the quarter panel required multiple pit stops around lap 150 for repairs, but even with the repairs to the rear of the Haas Automation Chevrolet it still altered the handling characteristics in race conditions, causing the car to get loose in traffic. With 10 laps to go, Busch and Bobby Labonte made contact coming out of the corner, causing the No. 41 to spin at the tail end of the lead pack. The late race spin did not prompt a caution flag as Busch gathered control of the car and returned to the race a lap down. He continued on in the closing laps to finish 21st. Kevin Harvick, driver of the No. 4 Budweiser Chevrolet SS for SHR, proved strong and ran with the leaders. But a last-lap crash as the field came to the checkered flag collected Harvick and left him 13th in the final rundown. Tony Stewart, driver of the No. 14 Bass Pro Shops/Mobil 1 Chevrolet SS for SHR, finished 35th after encountering fuel pressure issues midway through the race and completing only 174 of 200 laps. 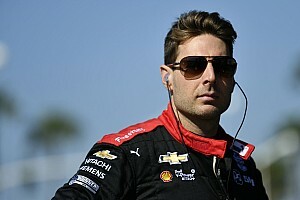 It was Stewart’s 16th start in the season-opening NASCAR Sprint Cup Series race and his first since Aug. 4, 2013, at Pocono (Pa.) Raceway, as Stewart missed the last 15 races of the 2013 season while he recovered from a broken right leg sustained in a sprint car crash on Aug. 5. Danica Patrick, driver of the No. 10 GoDaddy Chevrolet for SHR, was involved in a multicar accident on lap 145 that ended her race. She finished 40th. Dale Earnhardt Jr., won the Daytona 500 to score his 20th career Sprint Cup victory and second in the Daytona 500. His previous win in the Great American Race came in 2004. Denny Hamlin finished behind Earnhardt in the runner-up spot as the race ended under caution. 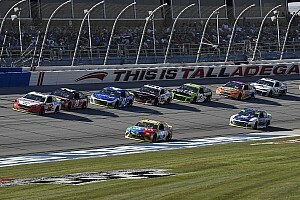 Brad Keselowski, Jeff Gordon and Jimmie Johnson rounded out the top-five, while Matt Kenseth, Ricky Stenhouse Jr., Greg Biffle, Austin Dillon and Casey Mears comprised the remainder of the top-10. There were seven caution periods for 39 laps, with 11 drivers failing to finish the race. With round one of 36 complete, Harvick leads the SHR contingent in the championship point standings. 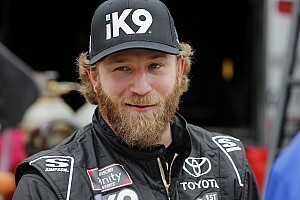 He is 12th, 17 points behind first-place Earnhardt. Busch is 20th, 24 points out of first. Stewart is 32nd, 39 points out of first. Patrick is 37th, 43 points out of first. The next event on the Sprint Cup schedule is The Profit on CNBC 500k on Sunday, March 2 at Phoenix International Raceway.